Knowing the value of your home is helpful in many ways. 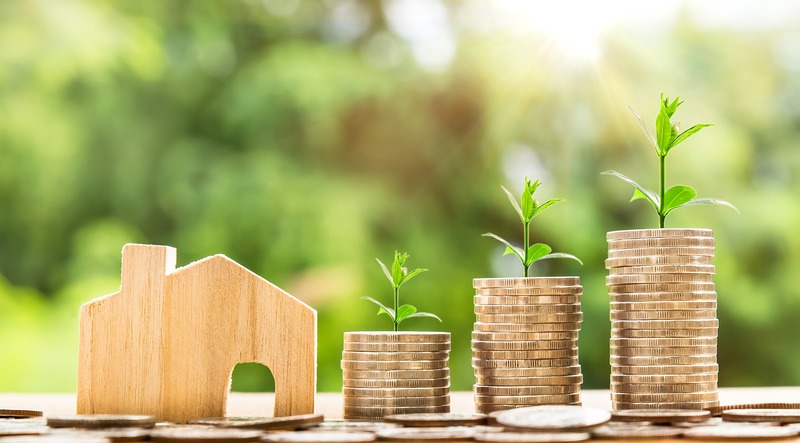 It can help determine one’s net worth, help decide if a home sale or purchase is a financially feasible move, determine the ability to get a loan – and it’s just nice to know where your largest investment stands. Consumers have the option to access websites such as Zillow® to search the Zestimate® or other Automated Valuation Model (AVM) on their property. A Zestimate is an AVM. The product of an automated valuation technology comes from analysis of public record data and computer decision logic combined to provide a calculated estimate of a probable selling price of a residential property. An AVM generally uses a combination of two types of evaluation, a hedonic model and a repeat sales index. The results of each are weighted, analyzed and then reported as a final estimate of value based on a requested date. 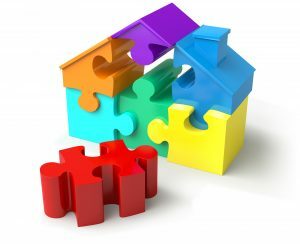 Often times when we talk with potential sellers, their Zestimate (or other AVMs) come up in the overall conversation, which is understandable. This information is relatively easy to access and gives the seller a starting point on the value of their home. Where an AVM can become dangerous is when a consumer thinks it’s accurate. Even worse, when a consumer makes a major financial decision solely based on this information. According to Zillow, less than half of all Zestimates in the Seattle metro area are even within 5.4% of the actual value, and they only give themselves a 2-star (fair) rating on their accuracy. In fact, they publish an accuracy report that you can view here. In August, the average home price in the Seattle Metro area was $824,000. With less than half of all Zestimates within 5% of the actual value, that is a beginning margin of error of $41,200! Further, they claim that 72.3% of their Zestimates are within 10% of the actual value, which is a marked difference – up to $82,400. Where AVMs are incomplete is that the basis of their formula is tax records, which in our experience are often inaccurate. Also, and most importantly, an AVM does not take into consideration the condition of the home, the neighborhood and other environmental impacts such as school district, road noise and unsightly neighboring homes, to name a few. At the end of the day, to give an accurate accounting of the value of a home in today’s market requires actually physically touring the home and the surrounding homes that compare. As well as considering current market conditions such as supply and demand and seasonality. An algorithm cannot accomplish this, but a real estate broker can. So why does the Zestimate exist? Zillow is a publicly traded company (ZG) and their website is their vehicle to create profit. The Zestimate drives consumers to the website who are often dipping their toe in the pool to see what their home might be worth, or searching available homes for sale. When a consumer is searching on the website they are surrounded by real estate broker and mortgage broker ads on every page. These real estate brokers and mortgage brokers are paying for that advertising space, which is how Zillow makes its money and why there is a Zestimate. The Zestimate is not a public service, it is a widget to bring eyes to their advertising space which in turn, sells more ads. Another important item to note is that Zillow does NOT have all available inventory in the Greater Seattle area on their website. In May, they cut off access to manually input listings, leaving some real estate firms unable to get their listings on the site any longer. Some firms just plainly chose not to syndicate to them. It is estimated that Zillow has between 70%-80% of the total available inventory on their site. In an inventory-tight market like the one we are in now, it is important for consumers to understand that if Zillow is the only source they are searching with, they may be missing out. Brokerage firm websites such as ours have a direct IDX feed from the Northwest Multiple Listing Service which refreshes every 15 minutes, insuring the accuracy and completeness of all listing data. The moral of the story is this: use Zillow as one of the many tools in your real estate evaluation and search toolbox. Zillow provides a great starting point and contains a ton of information to whet your palate when embarking on a real estate endeavor. However, we live in a time of information overload and we are overstimulated at best. Nothing beats the evaluation and discernment of a knowledgeable and experienced real estate broker to help you determine accuracy, which will lead to the empowerment of clarity. If you are curious about the value of your home in today’s market, please contact us. Any one of our experienced agents can provide an annual real estate review of all of your real estate holdings, or even dive deep into a complete comparative market analysis if you would find that helpful. It is our goal to help keep our clients informed and empower strong decisions.